Cary, NC – With surrounding locations already in Raleigh and Morrisville, Another Broken Egg Café is now opening its fast-growing breakfast restaurant in West Cary. Another Broken Egg Café will open at 1103 Parkside Main St. sometime this Autumn. The café serves breakfast and brunch and while owner and founder Ron Green is originally from California, the first restaurant opened in Mandeville, Louisiana and used flavors that reflect those locations. “We incorporated bananas foster and Hawaiian tastes but we also use a lot of crayfish and shrimp,” said Jordan Biel, Another Broken Egg Café’s territory manager for the Carolinas. The café still has traditional Southern foods North Carolinians would recognize, such as sausage, biscuits and gravy, but Biel explained how the Louisiana influences can change things. The second Another Broken Egg Café location was in Florida and Biel said, to fit that, the restaurant also uses coastal dishes, making use of cream cheese and crab. “Our menu reflects where Ron has lived and also where we want to go,” Biel said. The future Cary location of Another Broken Egg Café, in Parkside Town Commons. 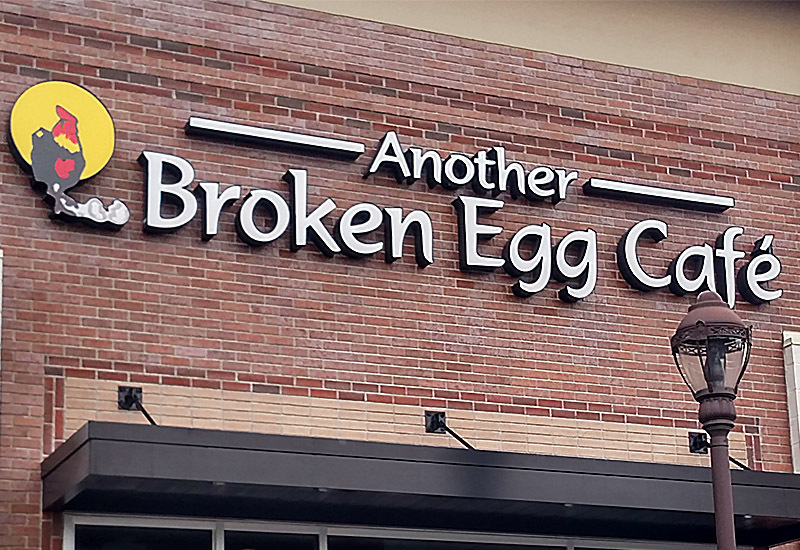 Another Broken Egg Café has grown quickly in recent years, more than doubling the number of locations since 2013 with more still in the works. “I am always looking for new potential sites,” Biel said, citing Chapel Hill, Holly Springs and Briar Creek as possible homes for new cafés. Biel attributed the fast growth of Another Broken Egg Café locations to the restaurant group the café is a part of, Double R, and its investment. “They were intrigued by the early morning concept and the quality of life that it provided,” he said. The café is only open from 7 AM to 2 PM. “It’s uncommon that you get to work at a restaurant and still be able to come home in the evening,” he said. 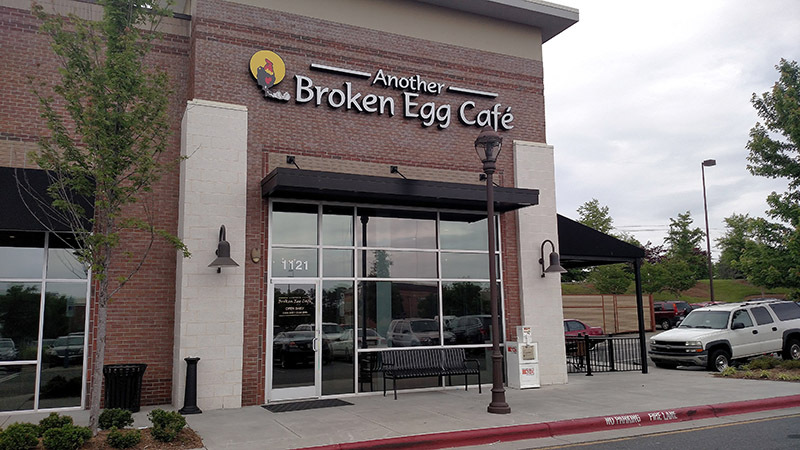 Outside of the Triangle, there are three other Another Broken Egg Cafés in North Carolina. 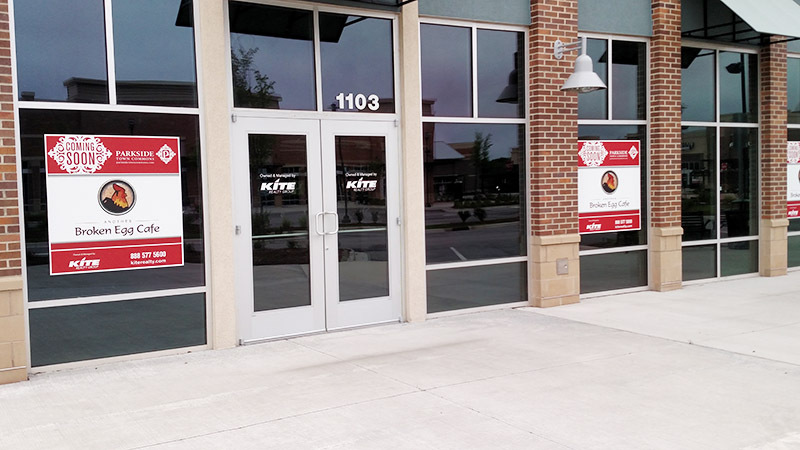 Another Broken Egg Café already has locations in the Triangle, such as this one in Morrisville.